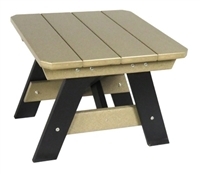 Eco-friendly durable outdoor furniture in bright and earth colors, Adirondack chairs, patio sets, settees, rockers. Test drive Comfort Craft® and LuxCraft outdoor furniture in the Minneapolis/St. Paul area at any Patio Town retail store. Designed in the traditional Adirondack style with contoured seat and a 7-slatted back, this chair is a must have. Designed in the traditional Adirondack style with contoured seat and a 7-slatted back, this chair is a must have. Designed For Maximum Comfort, With A Contoured Seat And Back. Designed For Maximum Comfort, With A Contoured Seat And Back. Designed For Maximum Comfort, With A Contoured Seat And Back. Stretch out, prop up your feet and lounge on Comfort Craft's maintenance-free Rollback Ottoman. 28" Diameter, 30" Height Features deep seating and lovely curved design that drapes over the back. Add Comfort Craft's matching ottoman to enhance your lounging comfort. Graceful curved back and deep seating make this rocker a true source of comfort. The unique back design makes Comfort Craft's maintenance-free Bent Arm Rocker a sophisticated addition to any outdoor living room. This bar includes generous shelf space for storage. Create an informal pub setting with this classic bar stool.